Zac Efron from High School Musical could star in the Star Wars 7 movie in 2015! We’re big fans of Star Wars here at Fun Kids and we’ve just heard some gossip about the next movie. Star Wars 7 is due in 2015 and now Disney are making it, we’re expecting it to be a little bit different to what we’re used to. 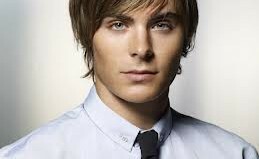 The first bit of news about the movie is that Zac Efron will apparently be starring in the film! Zac’s more famous for his singing and dancing in High School Music than his lightsaber skills. But we think he’ll still do a pretty awesome job. Who else do you think will be in the Disney Star Wars movie? Let us know in the comment box below.